Join Oxford Writers' House and Writers in Oxford for a night discussing the realities of making your writing into a sustainable career. This is your opportunity to meet with writing professionals from playwrights to poets, editors to journalists, scriptwriters to novelists to get to grips with what to expect and how to transform your passion into a way of life. 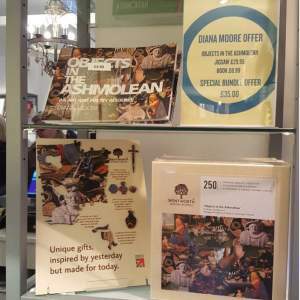 There is a jigsaw available of the 'Objects in the Ashmolean' book cover; here it is in the Ashmolean Museum shop along with the book. 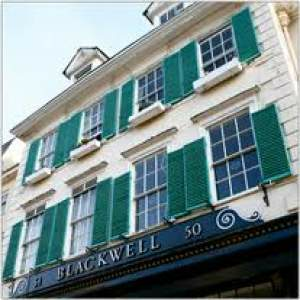 (it's also in Blackwell's - image below). The jigsaw - made by Wentworth - has unusual shaped pieces and whimsy cut-outs which, in this particular jigsaw, relate to museum objects. The edges are not what you'd expect either. It really is a fun and interesting way to piece art and history together! 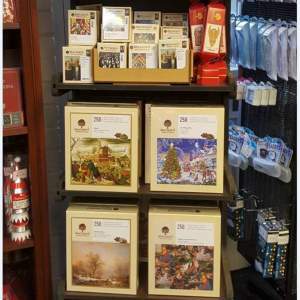 Ashmolean are currently running a promotion on the book and jigsaw, while stock lasts. 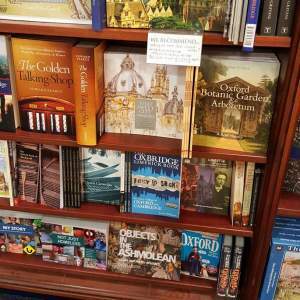 Objects in the Ashmolean ~ jigsaw and book are available in Blackwell's. The book is an art and poetry resource, and the jigsaw is a fun way to piece art and history together. I first met Diana Moore at the CARU (Creative Arts Research Unit) conference at Oxford Brookes in December 2016. 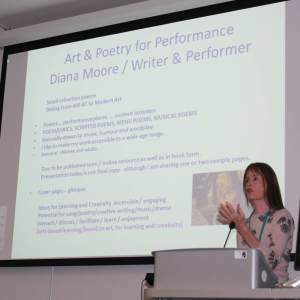 I made a presentation ‘Exploring the potential of creative drama as a learning tool in museums and heritage’, she made a presentation ‘Art and Poetry for Performance’ which included performance of some of her poems related to museum objects with a slide show. She leant me a copy of her book and I offered to review it and write reflections. I was interested to review it in relation to my Research Project/ PhD Proposal Working Title: Exploring the potential of creative drama as a learning tool in museums and heritage. Examining current projects and academia, proposing, running and evaluating projects in museums. In the introduction to the book she describes how she developed the idea for the book while she looked into the painting rather than walking past it. As a gallery attendant I have witnessed many tours, schools education sessions and activities related to that painting, involving family trails and craft I was interested about Moore’s unique ideas about engaging with the painting. 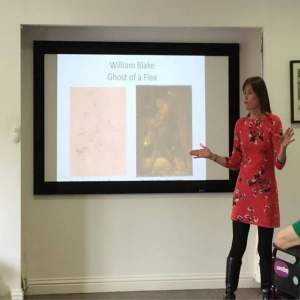 I believe there is more potential for music and drama in museum education programmes, Moore’s book encourages performance of her script in relation to the painting. With my project about the potential for creative performance in museums one of the research issues is what are the benefits of learning about heritage through drama in a context where museum programmes also offer music and arts and crafts in their programmes? Considering what I had witnessed (I had been a gallery attendant for 5 years) I believed Moore’s project offered something new. With Diana’s book I can see it is designed so that people can use the script to engage with elements of the painting in a unique way, performers can make their own interpretations. I was interested in the way Moore encourages performances with music from well known tunes such as a Mozart Horn Concerto. I liked the way the book was edited with some creativity in the presentation of words for instance in one illustration with words going round in a spiral. Parts of the painting are presented in the book editing sections so people engage in a new way. I liked the way the book was designed so people can make notes, perhaps about their own performance of the poems. After this I am interested to know more about Moore’s work, especially relating to theatre in heritage. 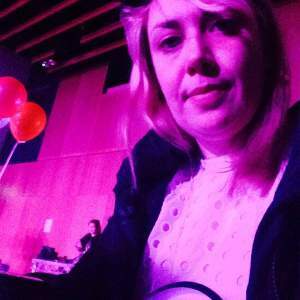 Photo above shows Claire Frampton at Oxford Brookes for a 'Singing through the ages' event. She is wearing a mortar board and holding a clock which was used in her presentation at the CARU Arts re Search conference also at Oxford Brookes. I have been selected to speak at CARU ǀ Arts re Search Conference at Oxford Brookes University on 4th December. I will be presenting / performing on the topic of Art & Poetry for Performance. Here is a link, further information and full list of speakers available soon. 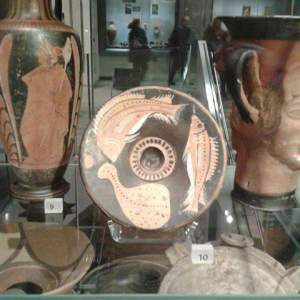 I've created a poetic menu based on a Roman Fish Dish in the Ashmolean Museum (see image to the right). "To say you have a unique and original style is an under statement. knowledge and information contained underneath." 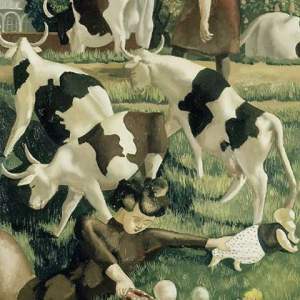 A poem/lyric/script by Diana Moore, inspired by Stanley Spencer's painting of Cows at Cookham, Modern Art Gallery, Level 3, Ashmolean Museum. The theme for October's readings was (a) Modern Art, and (b) based on 19th century French poet Stephane Mallarmés Meaning: Interplay & Interconnections. I was attracted to Cows at Cookham in the Modern Art gallery which fitted one part of the remit, but I didn't know much about Mallarmé... yet... How could I interplay and interconnect...? What made him tick...? Well... I discover that he influenced Claude Debussy who composed a piece called L'après-midi d'un faune... (afternoon of the faun) based on one of Mallarmés poems. Music, music... I do enjoy music... I listen to Debussy... I connect Debussy and the cows... have you ever heard a cow moo Debussy...? My thoughts develop into a poetic script for two voices. If you would like to hear the poem or if you would like me to visit your school or establishment to share my art-based poetry workshops, please do get in touch. 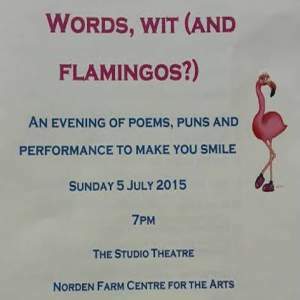 The Adult Dyslexia Centre proudly presents: Words, Wit (and Flamingos?) 5th July 2015. 'Diana was recommended to us by a Centre tutor who had heard some of her performance pieces and felt that she would work well with our group. Our performance 'Words, Wit ( and Flamingos)' was put together with tremendous panache and professionalism in only 4 weeks. It consisted of 32 short items of humorous writings (mostly written by the members) with performance and dance. What an achievement - to enable a group of dyslexic adults who have difficulties with words, sequencing and memory to feel confident performing in a theatre to an audience who thoroughly enjoyed the show. Thank you, Diana, for all your, patience, perseverance and belief that we could 'produce the goods'. 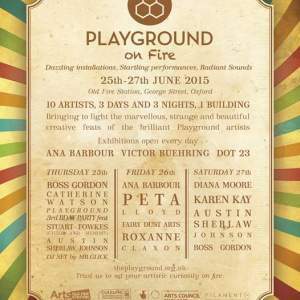 I am delighted to be a part of the Playground on Fire events. I shall be in the Gallery on Saturday 27th June from 3 - 4 p.m. Joining me will be: actor Jon Crowley and soprano Anna Shackleton. Together we will be presenting 'A VISITOR TO THE FOREST'. There will be singing and acting/improvising of extracts from this arts-based performance poem inspired by Paolo Uccello's The Hunt in the Forest. Audience participation is invited. All welcome. Here are a few of the workshops and events that I have booked for spring and summer. 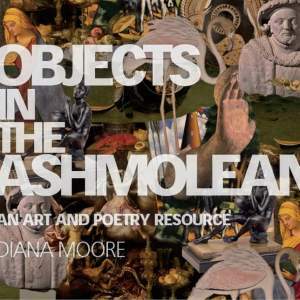 In 2012 I had the pleasure of reading with Diana Moore as part of the Ashmolean Museum's 'Poetry and Pictures' program, and since then, I've been witness to her meticulous craftsmanship and professional approach. Diana's poetry is imaginative and playful; a welcome reprieve from the monotone readings one comes to expect. Diana brings a musical element to the poems, whispering, chanting, and singing. I'm always surprised and delighted by Diana's theatricality, playfulness, and humour. She is a natural performer, whether in schools, special needs groups, museums, or on the BBC. Her books can be found in Blackwell's and Waterstones. 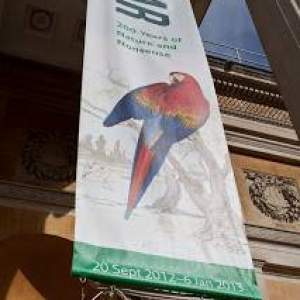 Her latest book, a poetic response to Uccello's Hunt in the Forest, will be available in the Ashmolean Museum shop this year. 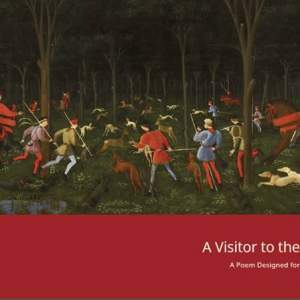 My next book is a poem designed for performance based on Paolo Uccello's 'The Hunt in the Forest'. After a busy day of poetry sessions in a local school, I went along to Blackwell's Bookshop for the open mic evening. There was a very good crowd in attendance and I was delighted to receive a real show of appreciation for my humorous poems. Feedback from recent visits to individuals and groups in residential homes: June from Letcombe Regis said "fascinating, and very stimulating". 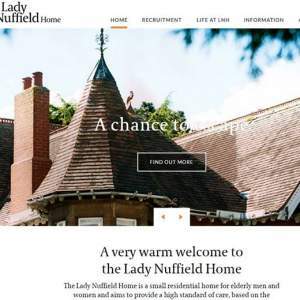 The ladies at Fairfields in Oxford said "Do come back". So do get in touch if you would like an interesting session on Creating and Writing Poetry. There is an array of subject matter available (for these sessions) from art and poetry, poetry and pictures, to Edward Lear nonsense as well as historical (e.g. 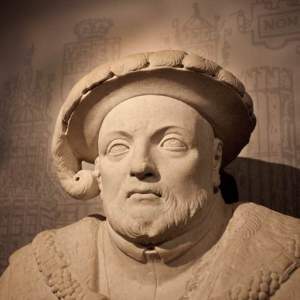 Henry VIII) and contemporary poems. 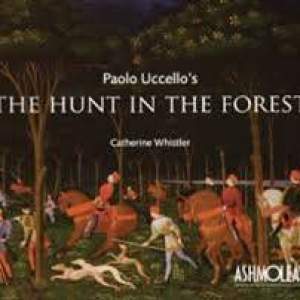 Received lovely feedback on my lyrical poem based on 'The Hunt in the Forest' by Paolo Ucello. If you would like to hear the poem, do get in touch. It will be good to share with a wider audience. There is an interesting book written by Catherine Whistler on the subject of this wonderful painting. You can buy it in the Ashmolean shop for £5. 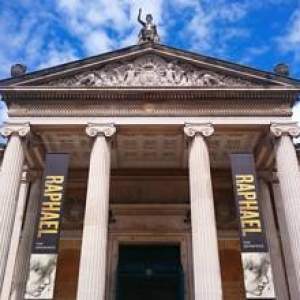 Another poetry tour coming up on 24th May at the Ashmolean Museum. I will have a new piece (yet to be decided) ready for 14th June poetry tour. 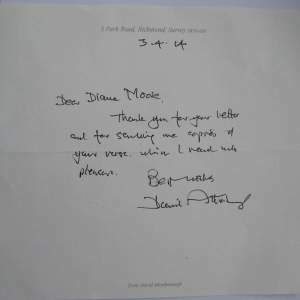 It was lovely to receive a hand-written letter from Sir David Attenborough in his no doubt very busy schedule, thanking me for the 'A Fishy Coat Tale And Other Poems' book and a view of my new nonsense verse specially written for Edward Lear, a poetry collection that is due to be published in 2014. Thanks to all who came along to the poetry tours including our regulars, first-time visitors, and to Cheryl, our tour guide for the day. We had good size audiences and lots of positive feedback on the wide range of poems and subject matter. Next poetry tour is on Saturday 25th January 12:30 to 1:30 and 2:30 to 3:30. 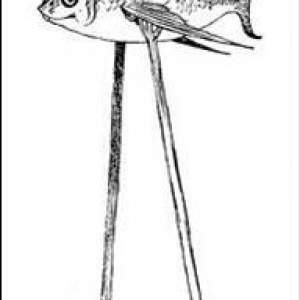 I will be performing Two Bream and a Ray based on a Roman fish plate. 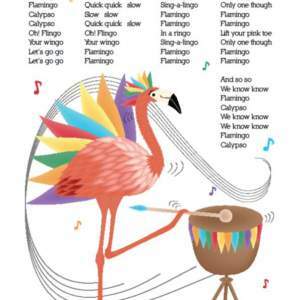 A little bird tells me.... as a result of the performance at Ashmolean, Flamingo Calypso was introduced to children at a school in Moreton, Lincolnshire. 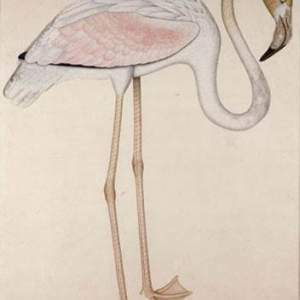 The Greater Flamingo slipped out of his aviary (Jameel Centre) for a performance of 'Flamingo Calypso'. Thanks to the visitors who came along specially (on a busy Christmas shopping day), and who were great sports and joined in with the 'song and dance'. Next poetry readings in the galleries are on December 7th. It was lovely to meet Teachers and Class 2 children from Wantage Primary School and Charlton Primary School. Children participated in singing, dancing and mimicking animal noises. The two schools were the first to try out my newly created FLAMINGO CALYPSO poem/song which I wrote specially for the event. 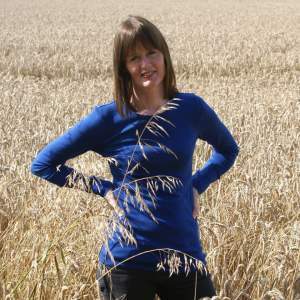 Wantage Literary Festival is fast approaching. Here is a link which you may like to explore. http://www.wantagebetjeman.com/store/ I will be doing a poetry event for 120 children. 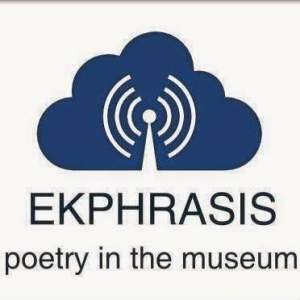 POETRY AT THE MUSEUM. It is good to receive feedback - especially when it is positive! A number of visitors came up to thank me after my 'brief poetic overview' of Henry and his wives. It was my first attempt at seven different voices...! Thanks also to John, for taking the time to drop me a line to show his appreciation. 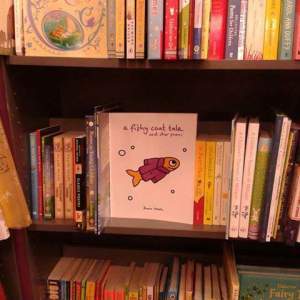 A Fishy Coat Tale And Other Poems is available in Waterstones, Oxford. 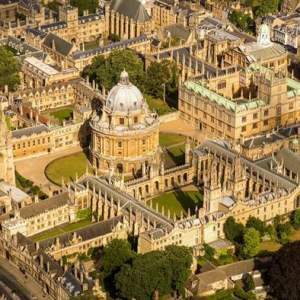 Alice's Day is on 6th July in Oxford Central Library. Here you will be able to see Greg Goldfish, Sylvester Stingray and Oscar Octopus make their first appearance as part of the 'Fun With Nonsense Poems' event hosted by Diana Moore, from 10:30 until 11:15 a.m.
Meet Gregory Goldfish and Sylvester Stingray - these fantastic puppets have been made by the talented Helen Vallis of Lydia Designs. 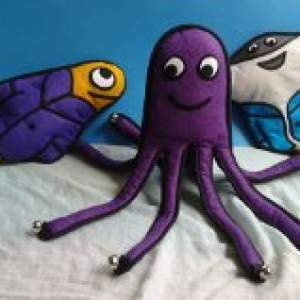 http://www.lydia-designs.co.uk/ Helen (pictured to the right) is currently working on the next fishy coat tale puppet: Oscar Octopus, the friendly (part-time) cloakroom attendant to fellow fish in A FISHY COAT TALE AND OTHER POEMS. 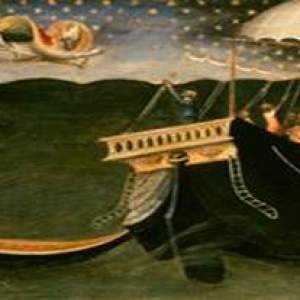 My latest poem: 'I've Got The Silver-Finned Blues' was written in response to the wonderful painting by Bicci di Lorenzo of St Nicholas of Bari Banishing a storm. I decided to give the mermaid a voice (she is swimming out of the picture - I will try to adjust this image to at least show her here....!) 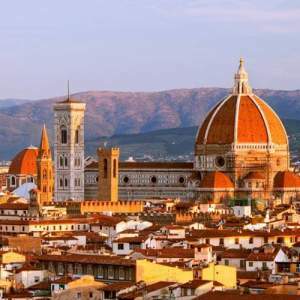 and my poem became a lyric which I sang (in parts) to the large swell of people gathered in the Italian Renaissance gallery, and I really appreciated the applause. I attended an interesting talk by the writer Joanna Kenrick (aka Jo Cotterill), an energetic and lively-minded author of many children's and teenage books. 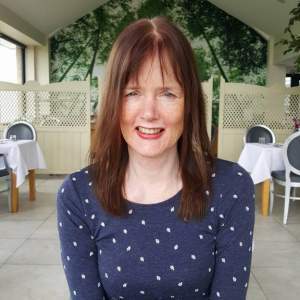 Joanna gave a talk on setting up a multi-author blog and how to run a targeted marketing campaign online, along with many other useful tips to writers of all genres. A moment to remember: primary school children queuing for my autograph after a recent fun and humorous poetry session. Sweet. Blackwell's Bookshop are now stocking A Fishy Coat Tale And Other Poems, also Waterperry Gardens, (they do good cakes and books! Oh! and nice plants, and a gallery shop, and right now... snowdrops!) Gardeners Books, also Oxfordshire libraries, in addition to Cole's Book Store in Bicester, The Bookhouse, Summertown, The Bookstore in Abingdon, Wallingford Bookshop, and more.... P.S. If ordering directly from me as a gift and you would like a greeting/name included, please let me know when you order, thanks. Had a live interview with Sybil Ruscoe today and she was very taken with my book A FISHY COAT TALE AND OTHER POEMS, likening it to a book of modern day nursery rhymes. Good to know both adults and children can enjoy the book. Sybil enjoyed Molly the Dog and the humour of the dog's reply - this poem was written as a 'get well' greeting for a local collie dog whose walkies were curtailed when she had a sore paw. My son Nicholas, graphic designer and illustrator (web designer too), came on air to talk about his favourite illustration, which was Horsewife. With so many cookery programmes on TV right now, 'Hilary Horsewife' is very contemporary with her pinny and tray of flapjacks...! I read several of the poems and added animal voices, so, when the presenter chose Mary Had A Mobile Phone, I included a short burst (just a few baaaaas) of the jazz number 'Tequila' for the singing baaaaaa lambs. Now looking for a big rush of book orders. See next note for update on book stockists. I read several of the poems on air and added animal voices, so that, when the presenter chose 'Mary Had A Mobile Phone', I included short burst (just a few baaaaaas) of the jazz number 'Tequila' for the singing and dancing baaaaa lambs which added a playful note. Part of the fun of the poems is that they can be taken off the page and acted out in many ways. See next note for the latest update on stockists. Enjoyed performing poetry in the Edward Lear Exhibition at the Ashmolean Museum. Good audience response and they joined in with the 'Lear Rap' chorus. I did a spontaneous 'hop along the gallery' as Edward Lear had wanted to do all those years ago. 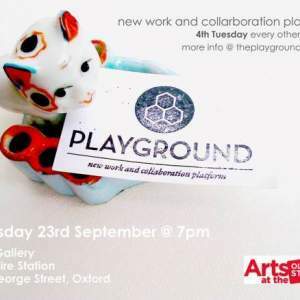 The following Blogspot link, written by Nick Owen, includes a write-up from a recent Gallery Performance as well as an upcoming workshop on creating poetry and pictures. 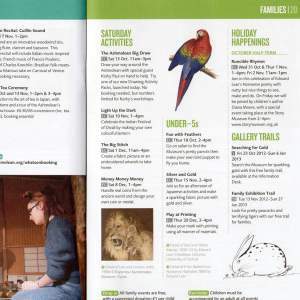 Countdown to the families events at Ashmolean and Story Museum. Join us for crafts, songs and story fun inspired by Edward Lear, nonsense poet. Celebrate Lear's 200th birthday with special guest children's writer Diana Moore. Join in this celebration of Edward Lear's nonsense poetry with nutty but nice things to see, make and do. 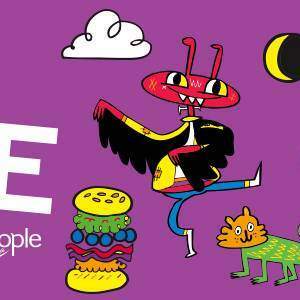 The event is on Wed 31st Oct & Thurs 1st Nov from 1 - 4 p.m.
On Friday 2nd November, 11 - 1 p.m., we will be joined by children's author Diana Moore, with a special event taknig place at the Story Museum from 2 - 4 p.m. Enjoyed a session with year 5's on Edward Lear. Teacher gave me good marks for content, presentation, interaction with children and engagement with the activities and the children had fun testing out a brand new song and dance as well as acting out a couple of limericks and writing their own nonsense verse which they shared with the class. 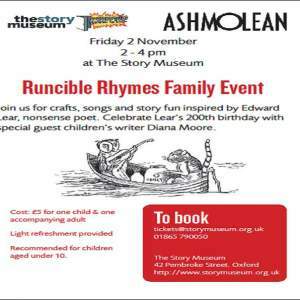 Gallery Performance 3rd November ASHMO-LEAR-EAN Looking forward to performing a verse or two in celebration of Edward Lear's bicentenary. Also performing poems in the October half-term 'Holiday Happenings' event for families. Runcible Rhymes. And onto the Story Museum for an afternoon session. What does a leopard do when she wakes up? Where does a home-loving horse like to be? How many fish like to play dressing up? Find out what animals and birds get up to in this colourful and crazy book of poems. 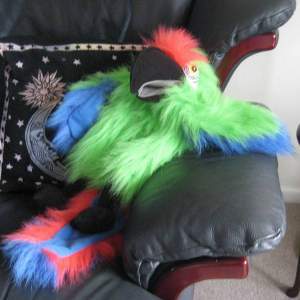 Tilly Trout here, taking a break from swimming the Amazon to say hi and to introduce you to: 'A Fishy Coat Tale And Other Poems' by Diana Moore. Inside you will find illustrated poems suitable for primary aged school children � and adults who enjoy humour. The book features me me me! I�m on page eleven taking a break and having a cup of sea. (can you name my pet?). There are sing-a-long poems such as Three Fine Lice (this little poem is dedicated to a BBC radio producer who caught nits from his kids!) and �A Stable Song For Horse Lovers�; both of which have well-known tunes so you can sing in rounds and have lots of fun. I've seen teachers and pupils singing along and sometimes they even sing like cats and dogs � it makes my gills tickle..
My creator (I sometimes call her mum) has asked me to help sell the books to a wider audience. So hurry along and add me to your book collection. Other poems are good for performance such as the Jackdaw making sounds and flapping his wings and you will also find a modern version of the old favourite �Mary Had A Little Lamb�. If you have any questions, send me an email and I will get back to you in a bibble. 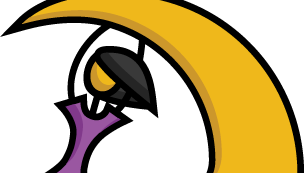 (that�s soon in fish language). 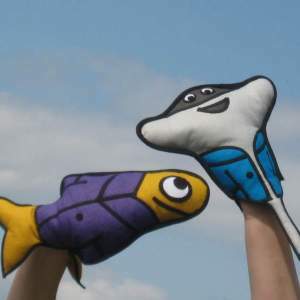 I hope my introduction will entice you to join me and my pals in A Fishy Coat Tale And Other Poems. Now I have to go and practice for the Trout-Olympics. Bye for now. Hear from you soon I hope. Bibble Bibble. 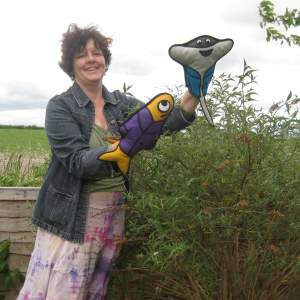 A Fishy Coat Tale And Other Poems, children's book, humorous, poetry, suited to primary school childlren - and adults. "Dear Diana, I loved your book. It's great!" from Iris in Oxfordshire. 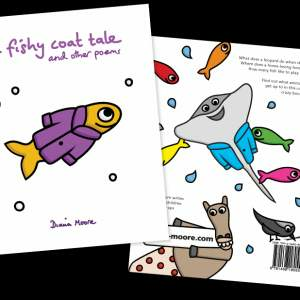 A Fishy Coat Tale And Other Poems, children's book, humorous, poetry, suited to primary school childlren - and adults.